Dear Bob, I am a freelance pianist-composer from the smallest state in the USA, and I have a personal stake in some themes you have blogged about recently, to wit, the difficulty faced by new composers in getting heard, and the low income of composers at large. Regarding the first of these themes - Liberty resides in the rights of the music you find most odious - naturally I completely agree with John Stuart Mill's dictum, which is identical in substance to Voltaire's much more famous statement on freedom of speech. I also think that in the particular case you spoke of, where the BBC paid for the Proms and agreed to include the new composition in the live performance but left it out of the broadcast, the composer got horribly shafted and deserves a make-up broadcast from the BBC. But after a cursory Internet search I can't find anything that says that the BBC had actually agreed to broadcast the entire concert; correct me if I'm wrong but the BBC seem to be within their legal rights. One of the Overgrown Path commenters brought up the issue of copyright, which I think is a huge, self-imposed stumbling block for many up-and-coming composers. Anxious to be remunerated for their work, and justifiably so, they join ASCAP [American Society of Composers, Authors and Publishers] and other copyright-enforcement organizations that make it rather difficult for anyone who isn't also a member of ASCAP to perform their compositions. Composers might actually do better in the long run if they admit that they stand to gain little money and lose much publicity by stringent enforcement of traditional copyright, and they stand to lose little money and gain much publicity by letting performers off the hook regarding royalties. Ultimately, those who can actually afford to impose copyright and demand royalties to the letter - "afford" in the sense that it hurts the circulation of their works the least - are those whose career is already well established, those who have long ceased to worry about income. I say this not without bitterness, for I have written some virtuosic solo piano transcriptions of John Williams' better-known film music that I would not hesitate to perform if not for prohibitive royalty fees. But Williams' music is so well-known he probably couldn't care less that small-fry musicians have a harder time performing his works. This brings me to your second theme of Why are composers paid so little? People lament the fact that composers get paid so very little - which has always been the case, long before the days of Lang Lang and his Porsche or whatever sort of car it is. Arthur Rubinstein remembers (in My Many Years) Stravinsky lamenting that pianists have it easy, living off of dead composers' toil. 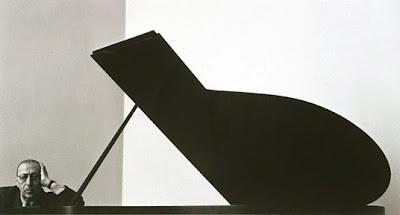 Rubinstein claims that in response he suggested that Stravinsky write himself a piano concerto that would be well within his (Stravinsky's) technical ability as a pianist, and people would flock to hear Stravinsky play his own piano concerto. Whether Stravinsky actually got this idea from Rubinstein I don't know - Stravinsky himself never gave Rubinstein credit - but he did write the Concerto for Piano and Wind Instruments, and a few other works for himself to perform, and he eventually turned to conducting and made a killing that way. In fact, I tend to think making a living as a composer is a pipe dream, unless you enjoy living on the edge of a financial abyss (or in it). In the past, those composers who had the fewest financial difficulties were those who supported themselves mainly by performing, teaching, or working as insurance clerks, and what they may have lost for composing time they gained in a broader view of the world. Even working nine to five as an insurance clerk and then composing at night lets you observe more of humanity than just composing all day. But to return to the BBC "suppressing" new music. The "rights" supposedly in question are those of "freedom of artistic expression". But "freedom of artistic expression", taken literally, means only this: You have the legal right to compose and perform - if you are also a performer - whatever you want for whomever is willing to listen. It doesn't mean that you have the right to a performance if you can't perform your music yourself; it doesn't mean that you have the right to an audience if audiences aren't willing to come. No other musicians have to perform your music, unless they are under contract to do so; no music publishers or radio/TV broadcasters have to publish or broadcast your music unless unless they have agreed to do so. It's up to you to build a following among audiences and performers. Unfortunately, building a following is not trivial, even for composers of Stravinsky's caliber, and all sorts of institutions have been founded for the purpose of giving young composers a boost. We should all be thankful such institutions exist. Plenty of mediocre composers, who have been groomed by their native conservatory environment to believe that they have it where it counts, and confusing the "right to freedom of artistic expression" with the supposed "right to assistance in getting heard", now lay claim to more attention - and money - than audiences are typically willing to give them. Today's composers point to The Rite of Spring as the reason you can't trust audiences to recognize greatness. They forget that after the infamous first performance The Rite of Spring gained acceptance not through the intervention of any distinguished panel of experts in the name of musical "freedom" but by audiences themselves; according to Alex Ross' book The Rest Is Noise, by the third night Stravinsky had won over a clear majority of listeners. (In a memoir published in the 1930s Stravinsky blamed the initial reception of the piece on the poor sets and choreography, but you have to take anything Stravinsky says with a grain of salt.) The real moral of the story, as I see it, is never schedule only one performance of anything. But the conservatories and the arts foundations have together produced a glut of fifth-rate composers barely sustained by grants and scholarships, whose pieces of avant-garde kitsch get token performances in "New Music Festivals" and nowhere else. (I should add that I myself am just now in the process of applying for a composers' scholarship. As much as I hate the abuses of the grant-and-scholarship system, if people think I am worth throwing money at, I won't complain; but if they don't I won't complain either.) In fact, perhaps a big reason composers have such a hard time getting heard is there are so many of them, and out of this great swarm performers and audiences are hard pressed to discover today's true greats among them. Competitions don't help, either. I think it was Julian Lloyd Webber who went on record recently about just how rigged competitions are - at least for performers, but it could hardly be any better for composers. There is an overall trend of new composers writing primarily for other new composers rather than for audiences at large, since it is the previous round of grant-winners that have the task of selecting the current round. It is instructive to compare the cases of John Luther Adams and Eric Whitacre. John Luther Adams is one of today's "respectable" contemporary composers - well along in his career, he has a Pulitzer Prize and the attention of Alex Ross, both which have earned his admittedly beautiful but tediously long Become Ocean a handful of performances scattered around the USA. Eric Whitacre is not nearly respectable enough to merit any mention on Alex Ross' blog, and he is not respectable enough because his music is too good. He has no pretentions of being a 'Musician of Tomorrow'. He just writes what he feels like and audiences take to it. His second instrumental work Godzilla Eats Las Vegas! was intended to be "completely ridiculous" in his own words. It never won any awards for profundity or originality, yet symphonic bands and orchestras were soon playing it all over the world. Arnold Schoenberg said "If it's for everyone it isn't art, and if it's art it isn't for everyone" or something like that. Perhaps he was right. But if you're a composer who intends to write only for the few, then I don't want to hear any complaints if people don't want to pay you for your effort. That email arrived from Benjamin Nacar a few days ago. It was my first contact with him, I am not familiar with his music, and I don't necessarily agree with all his views. But the arrival of his thoughtful musings was an auspicious coincidence. The first tentative post On An Overgrown Path appeared on August 24th, 2004. As an ageing serial hater of both anniversaries and self-promotion I was going to let the event pass without comment. But giving a platform to someone who is young - Ben was 15 when I started blogging - has something different to say, and says it rather well, seemed to be a constructive use of this post. Also on Facebook and Twitter. Any copyrighted material for the purpose of critical analysis only and will be removed at the request of copyright owner(s). My thanks to Mr. Nacar for such an interesting read. There is in it something that instantly made me pause and mull a long-time irritant: all those fifth rate composers. They come as a horde out of conservatories, but it is the universities that have also long bothered me. Milton Babbitt. There's a name to conjure with. His dicta ex cathedra certainly made him "...the cynosure of all neighbouring eyes", musical neighbours, that is. He was no poet, but nor was he a Babbitt. The problem, one behind Mr. Nacar's words, is that his influence was so great that he engendered a future full of Babbitts. My view is that Babbitt's dictum that composers should work in universities is what brought about that less than golden horde. He also averred that composers should never compose for those who listen to serious music, only for their peers. I'm not sure that Babbitt realized the consequences of what he was saying. In all universities departments in NA, it is the assessment by their peers on the Tenure Committee that decides whether they get tenure, promotion, and the accompanying pay increase. Their teaching is also taken into account. Thus, here comes the horde of Babbitts, writing for one another (in general a plague in all academe that manifested post-War and has grown steadily worse), write works of no originality for they have had to please the faculty that taught them just as the faculty had to please one another, and markedly unlikely to have an audience waiting with open arms. We desperately need the mavericks. And this is a can of worms, for it also came about that it was the universities where many performers now studied, and with the same result. The conservatories are not innocent here, either. It's notable that so many of conservatoire teachers were not active performers. I'm a bit sick of reading that X the pianist/violinist/whatever studied with Adele Marcus/Dorothy Delay/whoever. When the horde taught by these people rides into town, if there is an exceptional one it will because he/she did not wind up taking the same approach to their instrument (and that encompasses orchestras) as their teacher and peers. The mavericks. Among the horde of pianists which appeared in the US after, roughly speaking, WWII, I can think of only three who count as mavericks: Willie Kapell, Julius Katchen, and Van Cliburn. Interesting that Leon Fleischer and Gary Graffman were firmly in the orthodox American School of that era, and both suffered the same fate because of it. That horrible hard tone (and sometimes the inappropriately fast tempi of Fleisher) suited Prokofiev and no one else, and definitely did not suit the physiology of the hand. The one exception to all this, again just in my view, is the U of Indiana, which established a school for performers upon the likes of Janos Starker, Menachem Pressler, Gyorgy Sandor, et al. Notable performers at the least, very likely ones who made it clear at the start that they did NOT want to be copied and did not want to hear the copying of any other famous artist, individual tuition of the best sort. Indiana it is that at least approaches, and does so because of the faculty, the way the relatively small Golden Horde were taught: Arrau, Serkin, Kempff, Cherkassky, both Fischers, et al., and ditto re the golden violinists, conductors, and so on. This accouns for much. Whether we now have any truly GREAT conductors is moot. We do have some great instumentalists, but they are overwhelmed by the hordes of fifth-raters. Haendel over 80 plays as magnificently as ever, like Milstein a rare phenomenon, but now reduced to being a paid guest at society gatherings!!! We have Pires, Perahia, Sokolov et al. but overwhelmed by fifth-raters out of conservatories or universities and of competitions, in which their placement means bugger all. The agents are there looking for the prettiest face and handsomest profiles. Another problem, but we no about that can of worms, don't we? I think that labeling a blanket group of composers and performers as "fifth rafters" is a bit harsh. It's kind of like calling something in a store not made by a "name brand" "Brand X." I encounter exquisite music making all the time. Sometimes it happens in rehearsals, sometimes it happens in lessons, and sometimes it happens in concerts very far from the musical mainstream as defined by Alex Ross. I agree wholeheartedly with Benjamin Nacar's view, and I am grateful that he wrote to you and that you posted his letter. Composing is an art, yet not all composers, though they far to often refer to themselves as "artists," treat it as such. Nobody should assume that he or she will be able to make a living as a composer through merit alone. And I have observed that quality doesn't matter as much as it should when people go about the task of trying to separate those with talent from those without talent. There are a relative few among us who are really qualified to judge, including composers themselves. I should mention that being a member of ASCAP does not mean that you belong to a group of people allowed to play music written by other members of ASCAP. A radio station or other broadcasting or performing entity pays fees to ASCAP in order to broadcast recordings of pieces or give performances of pieces written by composers who are members of ASCAP.